Hard to find newer and quality 3 bedroom, 2.5 bathroom townhome with a two car garage under $400k. This home enjoys a truly functional floor plan and a walk-out backyard. Townhome is appointed with high end finishes including hickory hardwood floors, stainless steel appliances and elegant fixtures. 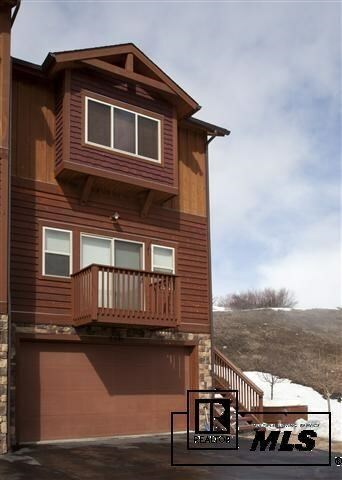 Being the end unit and positioned well within the complex, it enjoys lots of natural light and excellent views of the ski mountain. Meticulous care is evident throughout this property which was built in 2007 and has been occupied by the original owner and never rented. Low HOA dues, family friendly neighborhood, beautiful upgrades and pet friendly make this home an appealing offering.